Convicted prisoner Carl Browne has told the Commission of Inquiry into the Camp Street Prison unrest that cellular phones would be smuggled into the prison via prison wardens and prisoners would have to pay for them. Browne who is known for having a Facebook profile that is frequently updated did not spare any effort in revealing information about the obtaining of cellular phones while in jail. When questioned by Attorney Dexter Todd, the inmate revealed that officers would supply the phone to prisoners – sometimes for as little as $7000. “The officers themselves bringing it and we buying it and we stay buying. 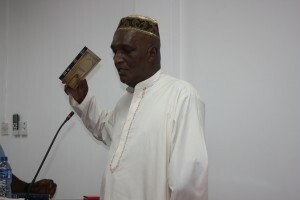 I is pay $7000 to bring in a phone,” said Browne who revealed that he is now on to his seventh phone. The inmate said that while there are searches and the phones are seized by the prison wardens; the very phones are later resold to inmates. “If they are taken away you pay and get them back,” he stated. Asked whether he believes that the seizure of cellular phones and other contraband would have caused the inmates to riot on March 2 and 3, he responded in the negative. “Oh no we accustom to that we ain’t got no problem with that,” Browne stated. Meanwhile, the inmate testified that the prison officers did not seek to render assistance to prisoners trapped in the burning dormitory the inmates had already died. While he was being cross examined by Joint Services Attorney Selwyn Pieters, Browne scoffed at many of the questions. Peiters believes that Browne is a “danger to the state” and even asked him whether he had any plans to burn the prison down to escape.